@CHConfidential: Brian Kenny is joined by @JPosnanski, @KeithOlbermann, Tom Verducci & @jay_jaffe to break down the #MVP races on @CHConfidential at 5:30pE. Keith Olbermann speaks to Larry King about his reputation as a "troublemaker," criticizes Mitt Romney's campaign and breaks his silence revealing that he was fired. Keith Olbermann, former SportsCenter anchor/US Political Commentator, joins Baseball Central at Noon with Sam Cosentino and Dirk Hayhurst to talk about last night's Jose Bautista injury, stem cell transplants, fantasy baseball, Anthony Gose and more. @TheGarfoose: questions, comments, concerns? we're live on the Fan590 @sportsnet, about to talk with Keith Olbermann live. KIMMEL: Eleven Secret Service men are being investigated. So far, one has been fired, one resigned, one retired, and the rest are thinking about leaving just because the party is over. It used to be a fun job. O'BRIEN: President Obama has created a new series of ads aimed at Latinos. Yes, the first ad boasts that, just last week, my Secret Service created jobs for 11 Colombian women. COLBERT: This is clearly the president's fault. We all know it's the job of the president to protect the Secret Service. I mean, where the hell was he when those prostitutes came at them? STEPHANOPOULOS: Late-night comics had their fun. Now it's time now for the roundtable to weigh in. We're joined by George Will, as always, Peggy Noonan of the Wall Street Journal, Matthew Dowd, Donna Brazile, and for the first time, Keith Olbermann joins the "This Week" roundtable. STEPHANOPOULOS: So, George, let's start out with the Secret Service. I think this shocked an awful lot of people when this first came out. How surprised were you? And how serious is it? WILL: Well, it's quite serious, because it's apt to be the tip of an iceberg. The chances that this is the first time something like this has happened is small. It's part, I think, George, of the security mania we have that surrounds the president, that the Secret Service is largely undisciplined, because no one wants to say, "There's not quite enough security," at any given time. I'll tell you a small story. When the president came to my house, president-elect, for dinner a week before his inauguration, some neighbors across the street, father, mother, 12-year-old son, came out on their yard. The Secret Service ordered them off their yard and into their house. Now, how they get away with this, I do not know, but the fact is, they're used to getting away with things. STEPHANOPOULOS: That's interesting. And there are so many people on the president's detail that actually this detail had a lot of time on their hands, it turned out, as well. Now, Peggy, you've written this week in the Wall Street Journal that this is a sign of a more general American character crisis. NOONAN: Yeah, you look at the stories of the past week, GSA and that scandal which we'll get to, the Secret Service, various other ones, you have to wonder what is going on with those adults in serious, responsible, publicly-paid-for positions, who have, it seems to me, less and less of a sense of probity, responsibility, the sort of basic adultness and maintaining of standards that we ought to be used to. It seems to me we've got a big slip going on there and these two stories are part of it. STEPHANOPOULOS: And, Donna, talk about over-sharing. That agent on Facebook, checking out Sarah Palin? That was a couple years ago now. BRAZILE: It's appalling, George, and I think it speaks to the character of these individuals. And I don't think -- as someone who's been around Secret Service agents for 30 years -- and I can tell you this -- I've never seen this kind of conduct. These are the best of the best. They are trained to watch everything, to know everything, to protect the president and other officials. And so I think, you know, in this investigation hopefully we'll get to the bottom of it. We might find that this is just a few individuals, a few rotten apples, but I think it is a good agency, and we should try to uphold the values that they all, you know, share. STEPHANOPOULOS: Keith, we all learned the phrase "wheels up, rings off" this week, but like Donna, I'm surprised, as well. All my experience with the Secret Service, never got a hint of anything like this. OLBERMANN: Do you think there's -- perhaps there's a pressure building on them? Obviously, as Peggy suggested, they were almost viewed as priests, at least in a philosophical sense. And yet we have in this country, particularly the idea of the conference and the road trip, and ballplayers going on the road, and the rings come off, and this idea of being away from home. The advertising campaign for Vegas, which touches on the GSA, which is what happens there stays there. There seems to be this dynamic, this conflict between these two things. Are they priests? Or are they supposed to represent this macho side and take advantage of what the opportunities presented to them? NOONAN: I have wondered if there's not in our society now a general reluctance to be mature, to be the one who's uncool, to be the one who -- in an almost throwback way, holds up standards, sort of reluctance to leave youth behind and immaturity. And it's sort of cool to act wacky and to act out in ways that aren't so good, and that's not good. Someone's got to be the grown-up. DOWD: Well, to me, there's a couple of things about this. First, the hair-trigger reaction to all of a sudden any scandal, any hint of anything, anything -- because all of a sudden Sarah Palin blames it on Barack Obama, he's not a competent leader, I think is just totally ridiculous. The idea that some lower-level Secret Service guys performed very badly and did something very bad doesn't really say anything to me about the president. You can blame a president for a lot of things. I think you can't blame it for. But for me, looking at this situation, is we've lost faith in every single -- the American public has lost faith in every single institution in this country. They have lost faith in sporting institutions in this country because of many different scandals. They've lost faith in the government. They've lost faith in both political parties. STEPHANOPOULOS: All of us, the media. DOWD: They've lost faith in corporate institutions. They've lost faith in the media. And so they see a scandal like this, they watch this scandal, they roll their eyes, and they say, you know, this is just an ongoing thing. Nobody's willing to fix Washington. Nobody's willing to fix the crisis of the institutional faith that we've lost in here. And this to me is just another example of the American public saying, listen, I don't trust any of you. STEPHANOPOULOS: And the phrase in National Journal this week, "In nothing we trust." WILL: Exactly. Now, it is unfair to blame Barack Obama for the GSA or any of these things, because although people think he controls the executive branch, no one controls the executive branch. That's part of the problem with big government is that there's no leash strong enough to hold it. But beyond that, this is going to have a political ramification, because the party in power believes that the federal government needs more money, should control our lives more, should be trusted with more and more of the gross national product of the country, whereas what you see with the GSA is there are few pleasures as intense as spending other people's money. That's why people run for Congress. STEPHANOPOULOS: Another potential political fallout -- Donna, let me bring this to you -- is that, you know, back in 2008, President Obama was the candidate of changing business as usual in Washington. That is one of the places right now where Mitt Romney has an advantage on the president. BRAZILE: It is. But, first of all, Mitt Romney has some disadvantages. And the advantage is, of course, he's not a Washington insider. The disadvantage, of course, is that people, majority of people are still trying to figure out who he is and if they like him. You know, as a former government employee, I'm always -- George, I started at the bottom, so don't -- don't -- don't start, you know, typecasting me right now. It's too early. But, you know, as a former government employee, many of us who worked in the government, it was for the common good, to serve the public. We knew we were public servants. Once again, I don't think we should judge everybody, throw out the baby with the bathwater and to treat these government employees -- they protect our lives. They protect our food. They protect us in the air. And we have a few rotten apples, just like we have a few rotten apples in sports, in the church, and everywhere else. It's an opportunity for the president to show that he's cleaning house. Back in September '11, he ordered the GSA and other agencies to look for waste and fraud. Maybe we'll learn a lot in the coming days. STEPHANOPOULOS: But, Keith, again, to pick up, though, on that point, does it blow back on those who are argue that government is a force for good, complicate the argument? OLBERMANN: Well, if you're going to -- if you're going to extrapolate from these two scandals to the entirety of government I think is a mistake. First off, GSA has been a problem for a long time, not just under this presidential administration. As many people have pointed out, with the Secret Service scandal in Colombia, is it possible that this was suddenly the idea of six, 10, a dozen agents for the first time, they said, "On this trip, let's go and do this"? 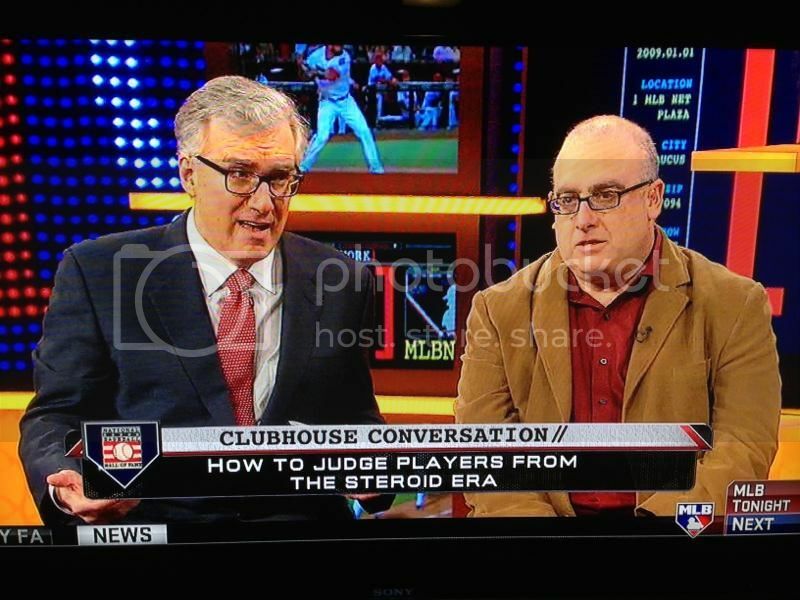 OLBERMANN: So it doesn't -- it has some indicative value. But I don't know that it indicates necessarily a growth or a decrease in the quality of the government. NOONAN: I would say one of the things that -- that is not good for the president about the GSA scandal is that the U.S. government has been spending a lot since 2009, since before that, of course, but we've been spending a lot the past few years. You would think the word would go out from the White House, guys, we got lot of money sloshing through the system. Be serious about this. Don't go crazy. You have to go by the rules. Do you know what I mean? You have to communicate a certain maturity, I guess, about how the money is spent and what you're doing. That was never -- it seems to me -- communicated. Watch out what you're doing with the taxpayer money. DOWD: Well, to me -- to me, both political parties -- for the last 20 years, both political parties -- the only difference between both political parties today is one says cut taxes and grow government, the other one says increase taxes and grow government. Both of them are saying -- both of them are growing government. Whatever the pace happens to be during -- I worked for President Bush -- during President Bush's presidency, the level of government grew, though we didn't fund as well as it should have been, because taxes were cut, and that I think is one of the problems that we have is nobody -- or very few people are willing to tell the American public that we have to do two things here. And if we're going to restore faith and trust in government -- and it's -- one of the faults I have with President Obama, who I greatly respect, is that he came into office, and one of the major things we had is people did not have faith and trust that the government could effectively, efficiently do their job. And what he did immediately was grow the size of government without ensuring that it was going to do its job effectively. STEPHANOPOULOS: I take that point. Isn't there a little bit of a danger that people begin to believe that if you just did away with these conferences, it might solve the problem of government spending? DOWD: Well, I think part of what you have to do as a leader is symbolic. Well, one thing you have to do is real actions and the other thing you have to do is symbolic actions. Leaders have to do both of those actions. I think getting away with those conferences would be a good idea. But the fundamental problem is that we do not have a government that's operating effectively or efficiently, no matter how great the people in the organization are. WILL: The money spent on that Las Vegas conference was a rounding error on the Solyndra investment, as we now call them these days, and other green job investments. Peggy, you say, why aren't we communicating the message, be careful with money? Because government doesn't exist to be careful with money that it takes from other people. BRAZILE: And let us not get into military contracts. Let us not get into the abuses that we've seen with federal spending on our, you know, so-called, you know, war on terrorism. I mean, there's so much that we can put on the table if we want to talk about, you know, the billions of dollars spent over there or the billions of dollars being spent on conferences here in this country. Look, this president put out an executive order. And as a result of it, he's been able to eliminate many of these conferences and to try to rein in much of the federal waste and abuse. But you cannot -- as you know, George, and everyone around his here -- we can't change Washington overnight. That culture is embedded. NOONAN: But there is something new in this. Scandals of this sort of -- spending sort of scandals used to be sort of quiet, hush-hush. You needed investigators to find it. And then you -- this was out in public with everybody bragging about wasting taxpayer money. That's what was different. STEPHANOPOULOS: We're going to have to take a quick break. Lots more to come from our roundtable. The dog wars, will the silliness have serious consequences? LETTERMAN: You know, Mitt Romney, whenever he travels, he puts the dog on the roof of the car. Do we have -- do we have footage of that? Here, right there. This is the last act. Now there's Mitt. Hey, hey, hey. STEPHANOPOULOS: Political junkies, perennial parlor game, who will win Romney's veepstakes? (UNKNOWN): If asked, will you say no? (UNKNOWN): Yeah, I don't want to be the vice president right now. (UNKNOWN): If Mitt Romney asks, you would say no? (UNKNOWN): Yes. But you know (inaudible) he's watching this interview, so he'll know. STEPHANOPOULOS: And Fenway celebrates a big birthday, a perfect game for the White Sox, and we celebrate the new season with two of America's best baseball minds. KIMMEL: I still don't think they meant any harm. The dog is probably saying, "Roof," and they thought he said -- you know, there was a misunderstanding. SAWYER: Would you do it again? ROMNEY: Certainly not with the attention this received. O'BRIEN: Conservatives are now criticizing President Obama because as a child in Indonesia, Obama sometimes ate dog meat. But on the plus side, Obama is now polling very well among cats. CARNEY: I think we're talking about a reference in his book to a period when he was 6 or 7 years old. Making a big deal out of it sounds like somebody who's trying to get out of the dog house on something. ROMNEY: You know, I think this campaign is going to ultimately become about jobs, not dogs. STEPHANOPOULOS: Pretty safe prediction from Mitt Romney. Back with our roundtable right now. And, George Will, I want to come to you, but, first, a little piece of history. Let's put up that picture we have of Lyndon Johnson. There he is holding up his beagle, him by the ears. He got a whole bunch of outcry from dog lovers at that time. It seemed to go away. So this is not the first time something like this has come up, but there does seem to be a skirmish like this on something pretty silly every single week of this young campaign. WILL: The campaign's not young. That's the problem. The horse race is over, and the sugar rush that the media got from that is gone, and therefore they're looking for something to keep their mind off, I guess, big questions. But there are big things out there. I mean, the New York Times-CBS poll this week asked the question, will the future be better for the next generation or worse? Twenty-four percent said better, forty-seven -- almost double -- said worse. That's dynamite. And we ought to be talking about that. STEPHANOPOULOS: And that's what -- why the president is in such a close race right now. So much of this, Keith -- I know you're big on Twitter -- so much of this is happening (inaudible) this is the first campaign where you've got both campaigns completely engaged on this instant messaging. STEPHANOPOULOS: Isn't that just politics generally? OLBERMANN: ... effect what happened -- but your point is where I'm going, that it is now one week, and it is whatever you find. And almost every point that is made on one side must be countered by something similar on the other. This admission by the president that he ate dog meat as a child is in a book that he published in 1995. There has been no umbrage about this for 16 or 17 years. And the question then becomes, you know, if you want to go back to the next round of this, were Republicans pro-dog meat eating until they discussed this clip in the book? It raises the level of absurdity to something exponential. And George's point is exactly right. With so many valuable questions going on, we're wasting most of the time dealing with the dogs. STEPHANOPOULOS: What does this tell you? NOONAN: Oh, I think, part -- a small part of this, the small issues we all get carried away with is that there are literally thousands of people in the United States now who are employed to cover these campaigns minute by minute and they need something to say. And they say it on Twitter and in other places. And so it's dogs today. It'll be cats tomorrow. DOWD: To me, it's -- I know we like to say the media does this, but part of the problem is, is that we have an infrastructure in the campaigns -- many of us have been involved in campaigns -- what we have now today is very different than it was 12 or 15 years ago. I know the creation of the war room, and we're going to have rapid response and all that, but because of the onset of the Internet and the media and all that, you now have an infrastructure in campaigns, a lot of young people, a lot of people who make their stake in it by saying, "I'm going to one-up this. Oh, I found this thing. Oh, I'm going to do this. Oh, I'm going to tweet this. Oh, I'm going to get Sarah Palin to say this. Oh, I'm going to do this." And so instead of a group of people saying, how are we going to conduct a campaign that in the aftermath we can govern properly, it's all about, what can I show my bosses and the people that day? STEPHANOPOULOS: You know, that is an excellent point. Donna, it makes me feel old, but you and I worked together in 1988, and the -- the Dukakis rapid-response room had one of those old A.P. tickers. STEPHANOPOULOS: That was how we got the news. STEPHANOPOULOS: I mean, we'd have no idea of an Internet, MSNBC, Fox, nothing. This is all brand new. BRAZILE: I agree. And, George, I remember, you would hand me my talking points, and I was supposed to read off them, and some days I did not read the script. But, you know, perhaps this is about setting the narrative for the fall. And we all know that, during the summer months, the campaigns must pivot. They have to, you know, rebuild their infrastructure, in terms of their ground game, and begin to think about how they reintroduce themselves to the independents and all of the non-aligned voters. And for Mitt Romney, I'm sure the reason why they reacted so quickly to bring up the dog meat episode, which, by the way, I grew up in Louisiana. My mother used to tell us, don't focus on the species, think about the recipe, and that was one bit of advice I didn't follow from my mother. In full disclosure, I did not listen to her. Well, it's true. I have been known to know people can cook that stuff, too. OLBERMANN: If you've ever bought anything on the streets of New York, the odds are pretty good, too. BRAZILE: But this is a narrative. And for Mitt Romney, he has to be concerned about the Seamus scandal because it might fit into this narrative that perhaps he's not like us. I mean, look at the other day, he went to the cookie shop and said to the hostess, "Did you bake those cookies?" You know, most politicians just start eating and not talk about, well, what's in them? But, you know, so and I think for President Obama, he has to be careful, too, when he -- when the campaign or whoever raises these things in a social network might come back to bite him. STEPHANOPOULOS: And part of the reason they both have to be careful, George, going to your first point, all of the polling right now, let's put up some of the -- what we've seen so far. Some outliers showing the president way ahead; some showing Mitt Romney ahead. But basically you've got all these polls showing a race inside the margin of error. The president may be a three-point advantage. WILL: In 2008, Barack Obama had all the winds at his back, African-American, we were eager to put that behind us, the Republicans had pretty much disgraced themselves at home and abroad for eight years, in the view of some of us. Economic meltdown, implausible 72-year-old warrior nominated by the Republicans, really implausible running mate, everything going for Barack Obama, he gets slightly under 53 percent of the vote. Question. Democratic Party's the oldest political party in the world. Only three Democrats have ever gotten more than 53 percent of the vote, Andrew Jackson, Franklin Roosevelt, and Lyndon Johnson. There's something about the Democratic coalition that limits that. Because Barack Obama could be all things to all people in 2008 and can't anymore, the reasonable assumption is he's going to get less than 52.8, which is exactly what he got last time. STEPHANOPOULOS: So that's guaranteed, isn't it? WILL: Of course. So it's going to be a very tight race. DOWD: Well, you know, this so much reminds me -- and having been very involved in it in 2004 -- and the numbers are almost exactly the way they were in 2004 as they are today. President Obama's approval rating is right close to 50, 49, 48 percent. He's got roughly maybe a 4-, 5-, 6-point advantage. It's exactly where George Bush was in 2004, exactly where he was. And one of the things that we constantly had to worry about -- and I remember eight years ago this month was Abu Ghraib. The scandal broke in the midst of all this, felt very similar, not like the Secret Service, but you understand -- like you can't be responsible for, but stuff happens on your watch. But -- and now we have, interestingly enough, an incumbent president in the same position running against somebody from Massachusetts who has a problem with authenticity, just like that. And to me, my guess is President Obama's campaign team, David Axelrod, all the very smart people, have watched that, looked at that, and it's a very similar pattern to 2004. And I remember, I was in a meeting in 2004, in April or May, and I basically -- people were saying, oh, we're going to win by a huge amount, we're going to do this and this, and I basically said, listen, if we win this race, it's going be a two- or three-point race. The same is true today. This is going to be a two- or three-point race. It's going to be back and forth. But it's a lot like 2004. STEPHANOPOULOS: And when you're the president, Keith, a lot more can go wrong than can go right. OLBERMANN: But this is a question I wanted to ask to Matt about that. What was -- what was President Bush's likability at this point in '04? Because the -- hidden in all of these -- these a new day, a new poll was this Quinnipiac number that indicated that Romney's likability was 63 percent and Obama's was 81 percent. That's a pretty strong number and a pretty big difference, isn't it? DOWD: President Bush's numbers was very much the same. And one of the things that we thought that I think is important to know is, people will fire somebody that they like. If they believe they're incompetent, they will fire somebody. So I think Mitt Romney's strategy is not to make people dislike Barack Obama. It's to make people believe you can like him, but you can fire him. STEPHANOPOULOS: Let me flip that around to Peggy Noonan. But will they hire someone they don't like, and that is Mitt Romney's problem right now? NOONAN: I see it a little more the way Matt does with regard to Romney. I think this election is about President Obama and whether or not you want to rehire him, renew his contract for the next four years. That means you're saying, did I like the previous four years? I'm going to go yea or nay on that. From that, you go to, is this man running against him a plausible figure who looks like he'll be better? That's I think all that it comes down to, not the little stuff like cookies and what you say in the bakery shop. And it reminded me a little bit of George H.W. Bush. People were spoofing him for saying -- they asked him if he wanted more coffee in a diner, and he said, "Just a splash." And everyone cracked up, because he was so out of touch, and it was so elitist, but at the end of the day, I think it is about renewing a contract yea or nay. WILL: And that brings up 2004. If Barack Obama holds the states that John Kerry won in 2004, but loses New Hampshire, because he's a little underwater there, but adds to the Kerry coalition New Mexico, Colorado, and Virginia, the result is Barack Obama 269 electoral votes, Romney 269 electoral votes, and the House of Representatives picks the president. STEPHANOPOULOS: And, Donna, that brings you back to 2000, right? BRAZILE: It's too early for heart burn. Look, likability is a major factor, and I think that will in large part help President Obama turn out the people who came out in record numbers in 2008. Look, for Mitt Romney to win, he has to break into President Obama's numbers with independents and might have a case of doing that with the economy. If the economy stalls, nobody wants that to happen, but Hispanics -- and he has to find a way to pivot with Hispanic voters to attract some of them. And then the last is women. He still has a women's problem. STEPHANOPOULOS: Well, let me bring that into what I wanted to get to next, and that is the veepstakes. Mitt Romney did open up his formal process this week, named a woman, his long-time aide, loyal aide Beth Myers to run it. And our early reporting from Jon Karl, our congressional reporter, showed that Jeb Bush could have been at the top of Mitt Romney's list. That was a surprise to me. And Bush at first seemed to open the door to it. J. BUSH: Well, I would -- I'd consider it, but I doubt I'll get a call, and I don't know if it's the right thing for me to do. I didn't run for president for similar kind of reasons. STEPHANOPOULOS: He shut down that quickly yesterday, saying it's not going to happen. He knew that got out of control. He wants Marco Rubio. And here's another surprise. Marco Rubio has consistency said didn't want, would not be vice president, but listen to this. RUBIO: Three, four, five, six, seven years from now, if I do a good job as vice president -- I'm sorry. (UNKNOWN): You guys all got that, right? (UNKNOWN): You all got that, right? RUBIO: If I do a good job as a senator instead of vice president, I'll have a chance to do -- I'll have a chance to do all sort of things. STEPHANOPOULOS: How was that for a Freudian slip, George Will? This morning, Rubio says he's not going to talk about it anymore, but he thinks Jeb Bush is the right choice. WILL: If Jeb Bush is to be Romney's running mate, it would mean that in seven of nine presidential elections there would be a Bush on the Republican ticket. And it gets hard to argue that we're not a tribal society at that point. The fact, George, it's very hard to find any election other than 1960 where Lyndon Johnson made Kennedy president where this mattered. And even carrying a state -- in the 16 elections since the Second World War, in 10 of them, a vice presidential running mate has failed to carry his or her state. Take -- again, 2004. Kerry says I'll take a run at North Carolina, he picks John Edwards, he loses North Carolina by 13 points. STEPHANOPOULOS: And what a fall. John Edwards goes on trial tomorrow in North Carolina. DOWD: And to me, the way to look at this is everybody says we're going to solve a geographic problem with a VP pick or a demographic problem to me. I think those are folly. It's folly to think that you're going to solve either one of those with the VP pick. I think the important thing, if I were Mitt Romney -- and Beth Myers, who I know is very competent -- if I were them, I'd be looking at somebody to pick to reinforce a value that you want to convey in this election. It's some level of competence, I'm the adult in the room, you may not like us, but we're going to manage the government, we're going to do things right. They need to find somebody in my view that reinforces that, no matter where they're from. STEPHANOPOULOS: And, Peggy, that's leading a lot of people to think that could be Rob Portman, senator from Ohio, former trade representative. He's got a little bit of a business background. NOONAN: Yeah, former trade rep, former OMB, I think six or seven terms in the Congress, U.S. senator. Yeah, this would be a wonderful time to pick someone fully adult and accomplished. There are luckily a number of them on the Republican side who would be possible. Mitch Daniels is one, Rob Portman. I think Mr. Romney should not try to be -- should not try to electrify and go outside the system. DOWD: No game-change. No game-change. NOONAN: No game-change. Pick somebody new, someone you've never heard of. We've done that one twice in my lifetime, Mr. Quayle, Ms. Palin. Don't do that again. Underscore who you want to be, serious. OLBERMANN: Do -- do you really want a second businessman on that ticket, though, in light of the -- if it's not a majority view, it's a very large view right now that business has never been viewed less favorably in this country since they ran Jay Gould out of town. OLBERMANN: Portman and Romney together? NOONAN: Yeah, that would be just fine, I think. There is a lot of people who think businessmen create businesses which create jobs. OLBERMANN: But what about -- but what about running a government? DOWD: ... or a dry cleaner or something like that, not another corporate tycoon. STEPHANOPOULOS: Paul Ryan's business has a construction business. BRAZILE: You know, George, I would pick George Will, because he's a reliable, consistent conservative. I've known George for many, many years. He could stand up to the scrutiny, and he's solid on all of those things that matters to conservatives. Thank you. STEPHANOPOULOS: What are you going to do with that endorsement, George? WILL: I would pick someone 30 years younger than I am, which is Paul Ryan or Bobby Jindal, who's been a governor. I think Mr. Romney needs some kind of excitement, that is, go young, go conservative, and go someone who's so deeply in the weeds on the entitlement crisis that the country's having, and, finally, look forward to, say, Paul Ryan debating Joe Biden. STEPHANOPOULOS: Let's talk a little bit more about the economy. Gas prices are starting to come down this week, but the president wanted to show he's on top of it, saying he's prepared to crack down on speculators. OBAMA: My administration will take new executive actions to better analyze and investigate trading activities in energy markets and more quickly implement the tough consumer protections under Wall Street reform. None of these steps by themselves will bring gas prices down overnight, but it will prevent market manipulation and make sure we're looking out for American consumers. STEPHANOPOULOS: Keith, the president did made a concession there. The problem is they actually hadn't been able to come up with any evidence that speculation was driving up the price. There's a lot of hunches, no hard evidence. 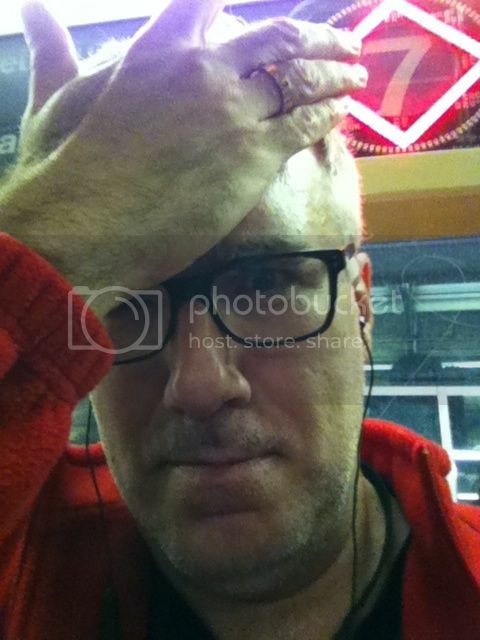 OLBERMANN: Yeah. One of the -- one of the things I turned to, to try to establish that was to look at the average gas price at various key moments, and the lowest price in the last six years, the nadir of gas prices at the pump, was the day of this president's inauguration in 2009. There has to be some connection between that being the least busy political moment of a president's career, where you're not going to -- you're not going to hurt them, you're not going to harm him that way, and the price of gas. There has to be an almost deliberate or at least a side effect quality to that. There must be. WILL: We have a president who believes, because he says so, that ATMs and airport ticket kiosks cause unemployment. So that gives you some sense of his grasp of how the economy works. George, in Washington a few days ago, a local radio station sent a man out to interview irate people at gas pumps. She's talking to a woman who says, "I'm furious." She says, "Who are you furious at?" She says, "Speculators." She said, "My car still had half-a-tank of gas in it, but I'm topping it off because I think the price of gas is going up," said the woman who is a speculator. That's what we do. DOWD: To me, the gas prices thing and the whole thing over that is -- is a reinforcement to the American public, unfortunately, our politicians constantly say, here's what I'm going to do for you. I'm going to lower gas prices, whether it's a Republican who says I'm going to do it this way or a Democrat says it, and then all of a sudden the gas prices don't go down. Then all of a sudden, they're not having it -- they don't get a job. I can get you a job, you don't have a job. And I don't think that where we are with gas prices -- there is very few things you can do around the edges, but the gas situation is a global -- a global problem. It has to do with India. It has to do with China. It has to do with a lot of things. But part of the thing is, we keep promising the American public, "I'm going to fix your problem, I'm going to do this for you," and then when we don't, because we can't, they lose faith and trust in the American government again. STEPHANOPOULOS: You know, it's an excellent point, but, Donna, then how does the president walk the line? How do you empathize with people without over-promising? BRAZILE: Well, first of all, you put forward a proposal and you say, look, I'm trying to lower gas prices. I've come up with a proposal that will end all of this speculation, that will put more feds to ensure that people are not driving up the gas prices because of capital investments. The truth is, is that the president can't control gas prices. I come from a petroleum-producing state, and we can drill all day, we can pump all day, and, by the way, it's two-year anniversary of the BP oil spill, and I'm still worried about marine life in the gulf. But the fact is, is that this is out of his control, but he has to show the American people that he's doing everything possible to manage gas prices. WILL: But there's something about our obsession with the imperial presidency -- it's true in both parties -- that says nothing's out of our control. After all, Mr. Obama, the night he clinched the nomination, said this will be the moment when the rise of the seas stop. Well, if he can stop the seas from rising, why can't he bring down the gas prices? STEPHANOPOULOS: The president can admit that everything's out of control. BRAZILE: Production is up, and still gas prices continue to fluctuate. NOONAN: Yeah, but something like the -- the pipeline comes through, the Keystone pipeline, he can make a decision that can be helpful or not helpful. I don't think it -- it helps if he just says, oh, my gosh, everything is beyond my abilities. He could seriously back some proposals that might be helpful. NOONAN: ... government itself can't do everything, but he can do a few things. DOWD: The best thing a president can day which many of the last presidents have not done is that they can change and they can affect the psyche and the confidence of the American public. And part of the problem that Mitt Romney has -- I don't really think it matters a VP pick. He ought to spend a lot of time figuring out, what's his vision? And does he want to present to the American public? And Barack Obama ought to quit going all these little small-ball things and blaming the Republicans and figure out a way to re-instill the confidence of the American people so they can change it, so they can affect it, so they can deal with it, so they feel better about their life. That's the biggest thing he can do, is change the psyche of the American public. STEPHANOPOULOS: And it's an uphill fight, because you got two-thirds of the country saying we're going on the wrong track. We only got a couple minutes left before you guys go. I want to get to baseball. Three weeks into the season, big day at Fenway on Friday, 100th birthday at Fenway, and yesterday a perfect game, only the 21st in baseball's history, from Phil Humber of the Chicago White Sox. George, I guess I'll come to you first. Wrigley is right behind Fenway. Is that -- there it is. Your Cubs aren't doing any better than the Red Sox. WILL: The good news is, the Cubs are in midseason form. The bad news is the same thing. Wrigley Field is two years younger. After that, the oldest ballpark in baseball is Dodger Stadium, 1962. But one of baseball's great strengths is, it's only the sport that can say, "We were here 100 years ago." There were Civil War veterans watching games in Fenway Park. Baseball has a sweep of American history that no sport can rival. OLBERMANN: This tension over the decades between tearing down our past in baseball or continuing it -- Ebbets Field in Brooklyn, legendary memory, evocative of Jackie Robinson and all that's great with the game, was built a year after Fenway Park and has been gone for 52 years. Fenway Park, you'll remember this very well, we both fought against it, the ownership of the Boston Red Sox in the late 1990s was trying to tear it down. There is always this tension. Fortunately, I think the thing has swung the other way, because this week we also had a 50-year-old pitcher win a game, only the second time in baseball history. Fortunately, that pendulum has swung back towards recognizing that the history is a vital part of this game. WILL: We conservatives are always told, "You can't turn the clock back." You can turn it back. We've done it with -- beginning with Camden Yards and all the other retro ballparks. They said the past was better. Words to live by. STEPHANOPOULOS: Before we go, quickly, who's got the best chance this year? OLBERMANN: I like the Tampa Bay Rays. I know that's not a trendy pick, but I think it's a balanced organization. STEPHANOPOULOS: George, your Nationals are doing pretty well. WILL: Nationals are doing well, but it's April. Texas Rangers are the team to fear right now. STEPHANOPOULOS: Thank you all very much. Terrific roundtable today. I really appreciate it. Somebody told me once that it was always fine to take a few notes with you anywhere you went (anywhere, that is, except a school exam) provided they fit on either side of a regular legal-sized envelope. It was accordingly reassuring to see the regular panelists – who so graciously literally gave me a seat at the table this morning – polishing and then consulting their own notes. Moreover, it was a tribute to This Week's willingness to let us drill deeply into each issue that each of us must have left at least half of our prep work unused. So, reading the unused side of my envelope, I would add here that as shocking and disturbing as the Secret Service and GSA scandals were, neither is necessarily surprising nor profound – and certainly not useful political fodder for anybody. The GSA, for one, has been corrupt for years. Washington forgets nothing faster than the last administration's scandals, so if and when you think of Jack Abramoff, you probably don't think of the GSA. But that's where he did much of his damage, particularly with his old buddy, the former GSA Chief of Staff David Safavian. Two years later, GSA chief Lurita Doan had to quit to avoid getting run out of town for violating the Hatch Act by manipulating the agency towards helping political candidates. If you want things that specifically look more like this "What Happens In Vegas Stays In The News" nonsense, the GSA money-and-tawdriness mess looks a lot like similar ones in the Social Security Administration in early '09, and a year earlier in – remarkably – the Minerals Management Agency, which one would ordinarily consider to be as unlikely to corrupt as the Visiting Nurse Association. George Stephanopoulos's interview of Senator Susan Collins and Congresswoman Corolyn Maloney underscored one unproven but logical conclusion upon which we expanded during the panel discussion. The Senator suggested she found it hard to believe that this was the first time something like this had happened on a Secret Service road trip, and I went a little further. To suggest that it was the first time is to believe that half a dozen, or ten, or twelve agents suddenly decided, all at once, that this trip to Colombia was the right time to abandon years of priest-like probity and boldly leap into a potential scandal so brazen and so unlike all the meticulously planned moves of their organization that it would come to light largely because an agent was fulfilling that old cliché about how you knew what someone was, you were now just arguing over the price. I'm glad we addressed the new volley in the attempt to defend Governor Romney over the lingering and visceral story of Seamus, the dog on the hot car roof. But we didn't really get to my point about the tertiary level of the back-and-forth. The primary conservative defense of almost any charge against one of their key figures is to find something about a liberal that would fit the same Twitter hashtag. The problem comes when the rebuttal (President Obama's admission that as a boy of six or seven, he was fed dog meat in Indonesia) allows liberals to spiral the whole thing up to another level or – in this case – two levels. Firstly, to agree that the kid version of Barack Obama ate dog once (or a dozen times, whatever it was) is to destroy the ever-popular contention that this man was, or is, a Muslim. That faith is stringent and proactive about its dietary laws. There's lots you can't eat, and dog is near the top of the list. When destructive memes – pushed by left or right – contradict each other, they reduce themselves to whiny silliness. This one gives the left easy access to another polo mallet with which to conk the right. Secondly, there is this question of the provenance of the story. The pre-presidential Obama wrote of his dining history in 1995. The far right took umbrage in April 2012. And again, the next level in the back-and-forth is immediately created: You're objecting to this now? Not during the 2008 campaign? Not when he ran for Senate? Not when he ran for the Illinois state legislature? When exactly did you stop supporting dog-eating? From the viewpoint of a desk with five reasonable and respectful commentators on one side and George gently prodding us from the other, the absurdity of all this is obvious. But it's important to note this sign that in the trenches the one-upmanship is now so automatic that one side on defense over Event "A" (Romney Strapped Dog To Car Roof) must retaliate with Parallel Event "B" (Obama Admits He Ate Dog Meat As Child) without stopping to think that it will suffer Blowback "C" (Right Admits Obama Can't Be A Muslim) and even Secondary Hashtag "D" (When Did You Stop Supporting Dog Eating). Suddenly the political game of find-something-they-did-just-like-this begins to take on the shape of the apocryphal Doomsday Machine secretly installed by the Russian leader prior to the nuclear exchange in the dark humor classic "Dr. Strangelove." Retaliation is automatic and unthinking – and eventually becomes impossible to stop, even when it destroys both sides. Lastly, it was a pleasure to talk baseball and our mutual reverence for the past with George Will, as we celebrated 100 years of Fenway Park in Boston and looked forward to the centennial of Wrigley Field (2014) and of its occupation by the Chicago Cubs (2016 – it was originally built for a team called the Chicago Whales in the long-defunct Federal League). But even here some of the notes on my envelope didn't make the show. We were also intending to discuss the perfect game (27 batters faced, 27 retired) pitched Saturday by Phil Humber of the Chicago White Sox. The accomplishment was not only spectacular on its own merits, but indicative. Between July 29, 1991 and July 22, 2009 there were four of these historic games pitched in baseball. Since July 22, 2009, there have been four more – and there should've been a fifth, but for an umpire's mistake. This acceleration – and I'm sure George would've agreed with this – seems to be hard evidence of the end of the era of baseball batters inflated by PED's: performance enhancing drugs. Hard swingers whose hand-to-eye coordination and strength are suddenly reduced to normal levels are going to miss a lot of pitches and pop up others they would've pounded for base hits just a few seasons ago. And Mr. Humber's performance adds to one of those bizarre incongruities that make baseball so endlessly fascinating. He was originally a member of the New York Mets, who in their 50-year history, have never had one of their pitchers throw a no-hitter or perfect game. However, Humber's gem Saturday was the thirteenth thrown by pitchers whom the Mets got rid of, and the foremost of those was obviously Nolan Ryan, who fired seven no-hitters. And with that, the notes on the envelope have served their secondary purpose. Thanks for watching – and for reading.